This year's Fiddlehead Festival will take place May 5 from 10 a.m. to 3 p.m.
FARMINGTON - Heading into its seventh year of celebrating the local food scene, Fiddlehead Festival will bring new additions, as well as the reliable traditions that have turned it into one of the region's most well-attended events. 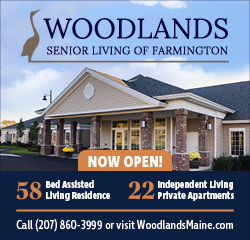 On Saturday May 5, from 10 a.m. to 3 p.m., the grounds of the University of Maine at Farmington Emery Arts Center will morph into a bustling scene of live music, homesteading tutorials and ample highlights of local talent- culminating in the day-long event for farmers, foragers and food-lovers alike. What started out as an effort to bring awareness to local food insecurity issues quickly evolved into what organizers described as a more positive outlook of the situation. Rather than focus on what the region lacks, the small group of organizers decided to draw attention to all that the region has to offer- both in the wild and on the farm. "The Sustainable Campus Coalition has been at the heart of the event the entire time," organizer Cynthia Stancioff said. The festival aims to promote sustainable living practices by bringing in more than thirty vendors that cover a range of topics- from handmade crafts such as basket weaving to raising animals and foraging for wild mushrooms. The theme of the springtime "emerging coils of the immature ostrich fern," is brought into the spotlight with guided tours on sustainable harvesting practices, special food truck menus that include the delicacy, and fiddlehead cooking demonstrations. As per tradition, the first May Saturday event will coincide with the opening of the outdoor Farmington Farmers' Market. This year, the Fiddlehead Festival also coincides with the end of Farmington's Growing Roots Week, a weeklong series of events hosted by various non-profit organizations involved in food security issues in the greater Franklin County area. Organizers say they hope to see the festival grow in the future, possibly becoming more involved with the Growing Roots Week. The festival will be held rain or shine, as the Arts Center features flexible indoor/outdoor accommodations. Organizers of the annual Fiddlehead Festival include the University of Maine Farmington's Sustainable Campus Coalition, community food activists and farmers. The committee is always looking for more help planning and organizing. 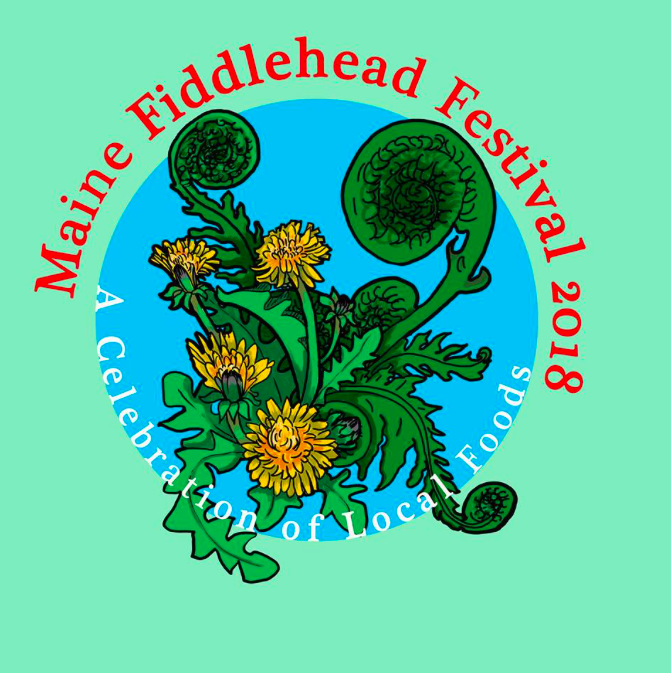 For more information visit www.mainefiddleheadfestival.com or the facebook page Maine Fiddlehead Festival or call 860-919-4653. The fiddleheads in my yard have yet to appear ....a late spring!